Though the plugin can remove enqueued scripts, it’s good to prevent enqueuing them on AMP URLs. This prevents a validation error. The skip-link-focus-fix.js script in Twenty Nineteen that doesn’t need an AMP implementation. This workaround for IE 11 keyboard users is common in themes. But it’s not needed at all now, as there’s a fix in the AMP project. The AMP version of this URL is horizontally compressed. 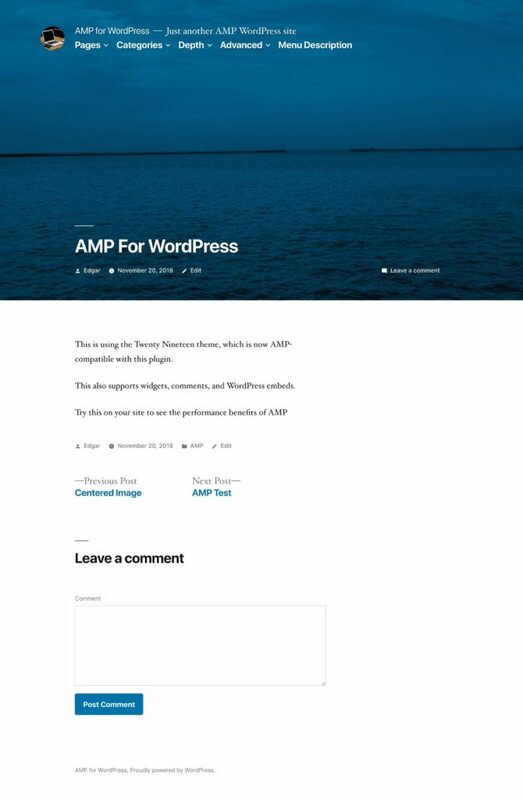 This is because the styling on the non-AMP URL doesn’t correctly apply to the AMP URL. The validator converts style selectors for img to amp-img. This usually works well, as the <amp-img> is the AMP version of <img>. But there’s a style rule of object-fit: cover that doesn’t work when applied to <amp-img>. So this can simply use a selector that ends in amp-img > img to ensure that it applies to <img>.